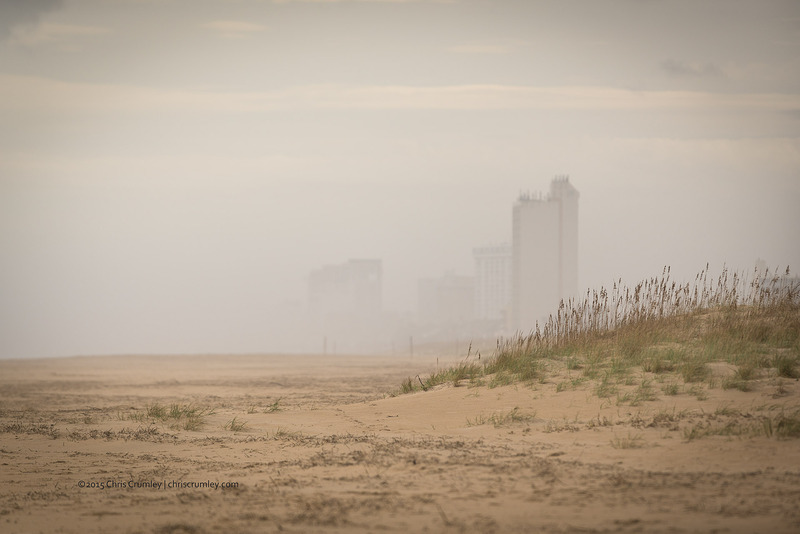 On this Halloween, I could say the Virginia Beach oceanfront was "cloaked in mist." Okay, so that's a little weak. Sorry, no ghoulish costume and blood drips. Actually, just experimenting with a Canon 300mm f2.8 on a Sony a7R II with a Metabones Sony-Canon adapter.